Most other states do not have overtime wage requirements for any business, much less farming, so California businesses trying to compete under the state’s hefty overtime wage rules will likely not be able to compete across state borders, loose profit and go out of business – or be forced to succumb to union demands with the UFW. This is because UFW collective bargaining agreements exempt workers from overtime and California’s minimum wage. AB 1066 would require mandatory overtime paid to previously exempted farm workers. California farming employees have been exempted from daily overtime because the nature of the seasonal work is different from other industries, subject to the unpredictability of mother nature, and requires harvesting perishable food. California farm employees have been largely excluded from national labor and protective legislation, including the Fair Labor Standards Act and federal child labor laws, since the 1930s. California is the only state to mandate “premium overtime pay” for farm employees after 10 hours of work in a day. Unions not only want a bigger cut of farm worker pay, they think increased overtime is one way to accomplish this. But the real goal is to force desperate farmers into union contracts. California’s agricultural abundance includes more than 400 commodities. Over a third of the country’s vegetables and two-thirds of the country’s fruits and nuts are grown in California. There are more than 80,000 farms in California, and the UFW has only 30 of those under a collective bargaining agreement contract. 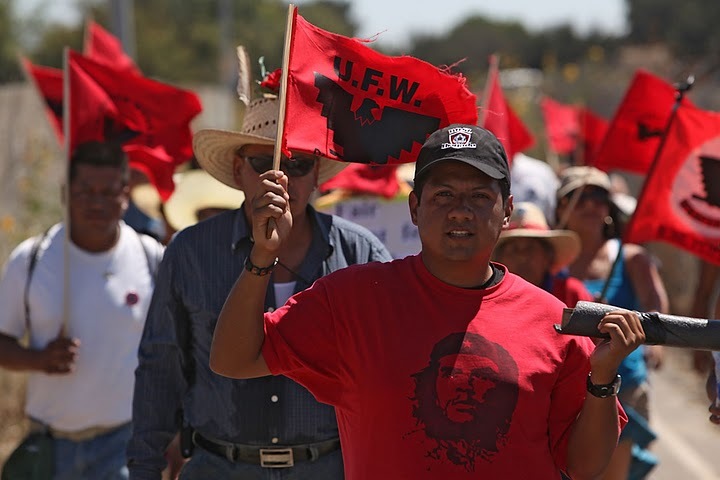 Is it any wonder the UFW is desperate for more contracts – any way they can get them? Not many California lawmakers have ever signed the front of a paycheck. They have no idea how businesses operate or what difficulties business owners face. Not all businesses are able to schedule 8-hour days and 40-hour weeks. Not only are farming jobs time sensitive and production oriented because of perishable crops, many manufacturing and processing jobs are also production oriented, and workers need to work when the production is available. Farming is a seasonal business, and workers understand they are needed to work more hours when the harvest is at its peak. And that is why the government allowed the standard overtime exemption for agricultural workers. They currently receive overtime after 10 hours in a day and 40 hours in a week, but not after 8 hours in a day as standard non-ag workers do. In 1999, Gov. Gray Davis, signed AB60, called the “Eight Hour Day Restoration and Workplace Flexibility Act of 1999,” dramatically changing the state’s overtime compensation laws. The act went into effect for most employers on January 1, 2000, however the list of exemptions was long, and included public employees. The 1999 act’s most dramatic change was the restoration of the daily overtime requirement. Ironically, union employees covered by a collective bargaining agreement were not covered by AB60, nor were public employees. Additionally, agriculture workers are at the mercy of weather, which can and does cancel work for extended periods. Most farm workers want to work 10-hour days, to make up for lost hours, and bank the wages for the leaner times. Putting a time limitation on agricultural workers also puts California farmers at a distinct disadvantage in competition against Mexico, Colombia, Ecuador and other countries for produce exports. No other state in the United States has a daily hourly limit on agricultural work. The exemptions to overtime laws are extensive. Overtime wage orders expressly exempt public employees. Under listed exemptions, the Department of Industrial Relations (DIR) Web site reads, “Employees directly employed by the State or any political subdivision thereof, including any city, county or special district,” exempting state employees from state law, but requiring private sector employers to comply. Once California’s minimum wage legislation is fully phased in, California will have the highest real statewide or nationwide minimum wage in the world. Add to that the highest overtime regulation, and California’s Legislature and Governor Jerry Brown are guaranteeing the largest permanent poverty class in the country, while at the same time, putting farmers out of business. But if that is the goal, then Democrats are on the right track for turning California into a wasteland. I work for the state of California Department of Parks & Recreation on a seasonal basis. Many days during our year we work 10 hour days but are not compensated with overtime pay until we reach 40+ hours in that week. Why does the Govenor play these politics when it come to farm workers. If it’s good for one block of workers, it should be good for all.